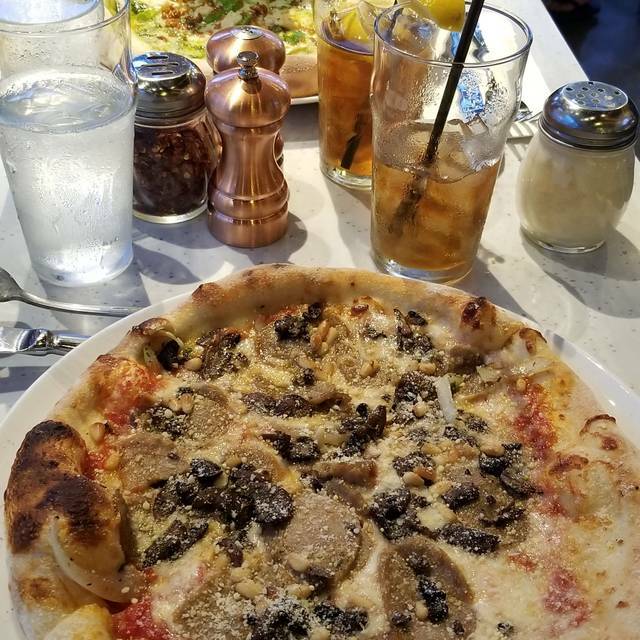 You must make reservations at least 5 minutes in advance of the time at Flour & Barley – Brick Oven Pizza Waikiki. 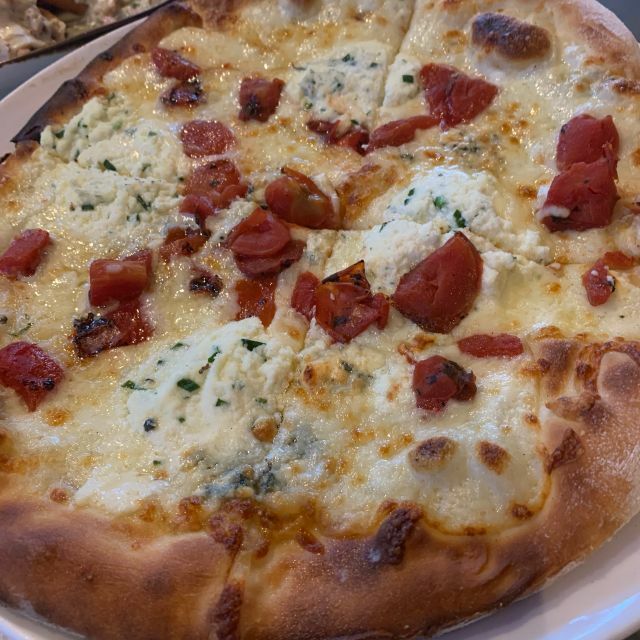 Pizza pies and craft beer are what we do best! 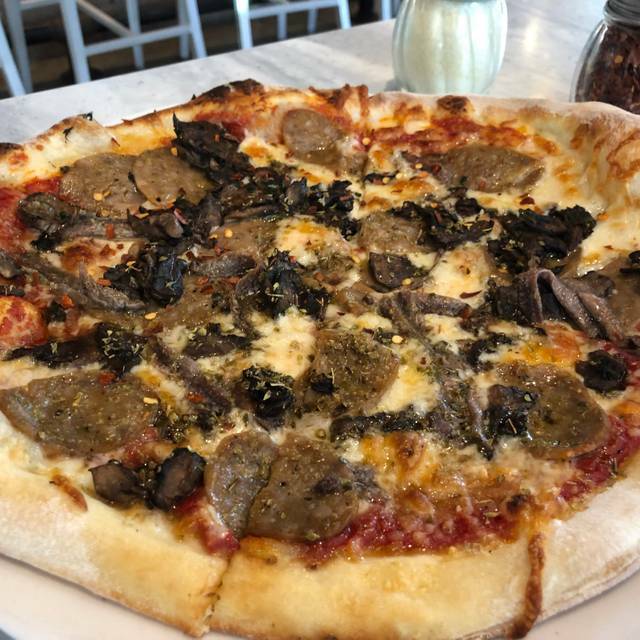 At Flour & Barley – Brick Oven Pizza you’ll find a traditional pizzeria eatery complete with Italian-American favorites to fit modern tastes. 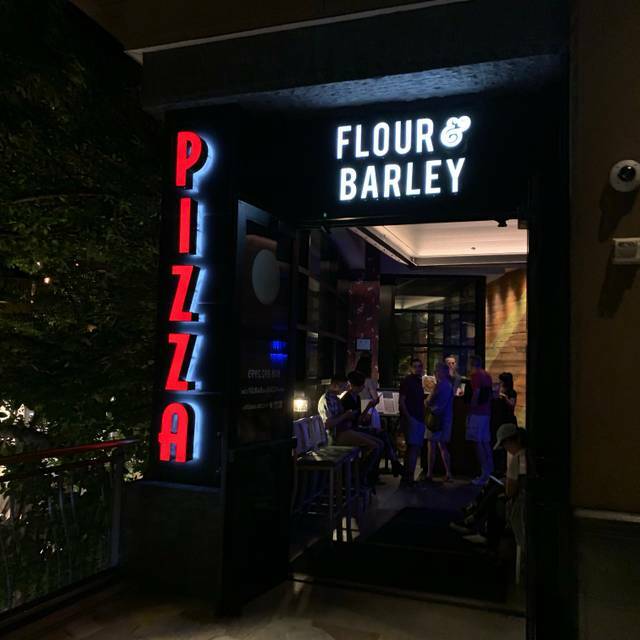 Flour & Barley’s creative menus include brick oven-style pizzas made with whole milk mozzarella and a dynamic selection of toppings; plus Italian-inspired appetizers, pasta dishes, salads and a seasonal selection of entrees. Flour & Barley features a comprehensive beer program with hundreds of local craft brews, Flour & Barley also features a unique selection of barrel-aged and hand-crafted cocktails, plus an ever-changing menu of seasonal drinks. As busy as F&B was, we received a nice welcome greeting by the host, our waiter Michael was very cordial and professional and we received our food timely. Serving sizes were bigger than expected (for Waikiki), not huge but worth your money. We are definitely going to return and put out a good word to our friends. We were pleasantly surprised to be in the midst of huge trees and palm trees in the middle of a shopping mall. Didn’t feel like we were in the middle of the city. Pizzas were undercooked and toppings not of high quality - the sausage pizza had grey colored sausage with raw onions lightly warmed up. Doesn't it sound good?? ?Pastas were terribly oversauced - looked like pasta soup! Service and ambiance OK. Save the time and go elsewhere for pizza or pasta. 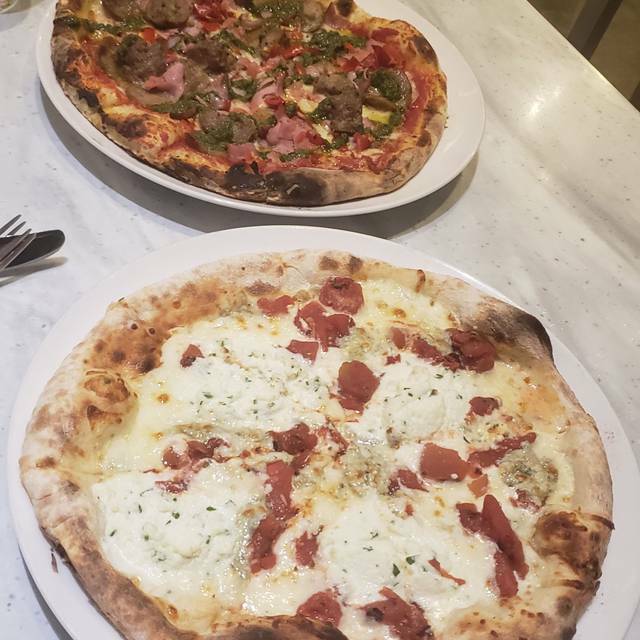 Best pizza in Honolulu. They actually have a brick oven, unlike others who claim to. We will miss this place when we move. The description of the ‘pizza of the day’ was way better then the pizza that actually came out. We loved the food here. 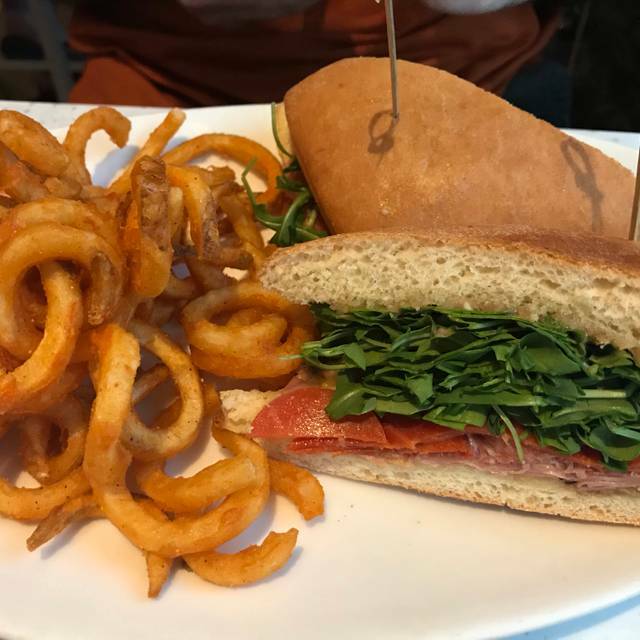 We recommend the Caprese and the Kale and Arugula Salad. If you check in on Yelp, you can get free cheese bread. The charcuterie board looked really good too. They will let you do half and half pizzas and drink menu is great! Loved it! Our pizza was soggy, but we really enjoyed the atmosphere. Food was great! The location was great. I really enjoyed the open air dining experience. The pizzas are generously sized and would be good to share if you ordered an appetizer or salad as well. The kids meal cheese pizza was plenty big for both of our kids (6 & 8) to split. If we were local, we would frequent this place! The pizza was very good and our service was also good. Very good all around. Would definitely go again and recommend. It was nice going during happy hour to save a bit on the cost but still worth it otherwise. Wouldn’t come back here again. Great food, great beer, great prices, friendly staff. Loved everything about the experience. Pizzas were disappointing. Service was nice. 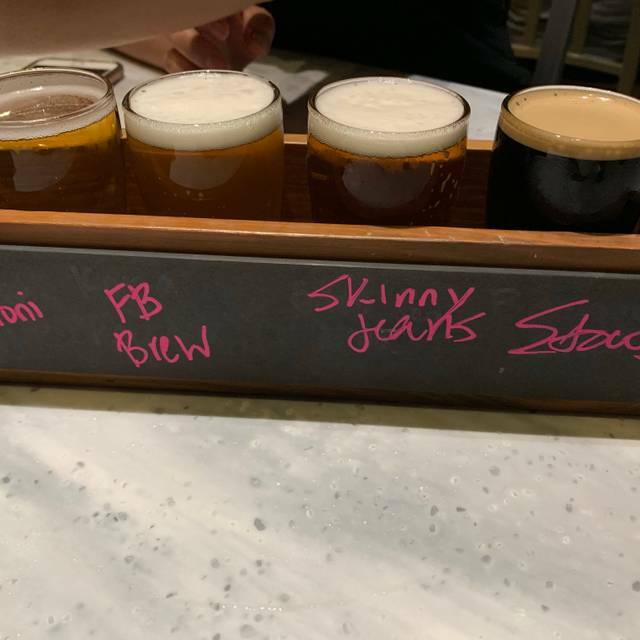 We love coming here for the great daily Happy Hour from 2-6. Love the food and cocktails. Excellent customer service. Ordered all items from Happy Hour menu which was a good value for Waikiki dining. Great pizza and friendly staff! There was a little bit of a wait for our table, but they compensated with a free dessert. Great place for big groups too. Had read about restaurant before our holiday . Checked out location and decided to visit . Lucky me later that afternoon out walking in wakiki and received a complimentary appetiser . Excellent pizza and environment. Our server was awesome. Absolutely fantastic service and food! Pizzas ordered were tasty and "fresh". 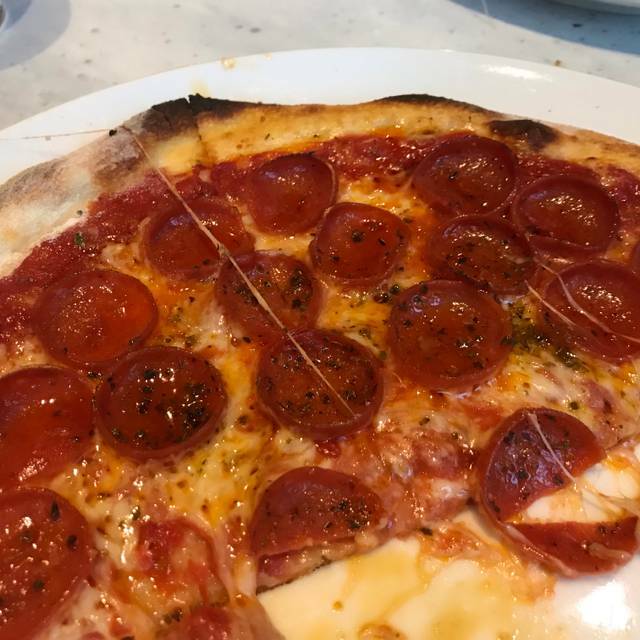 My husband remarked that it was the best pizza he has had in a long time......made me jealous as I can't eat tomatoes !!! Nice to see that the restaurant also has a good choice of "white" pizzas too. My salad was good but I wish that I knew it had kale included in the mix of greens as I do not tolerate it We had a great wait person who helped make our visit fun. The pizza was delicious! The service was great! We truly enjoyed our meal! 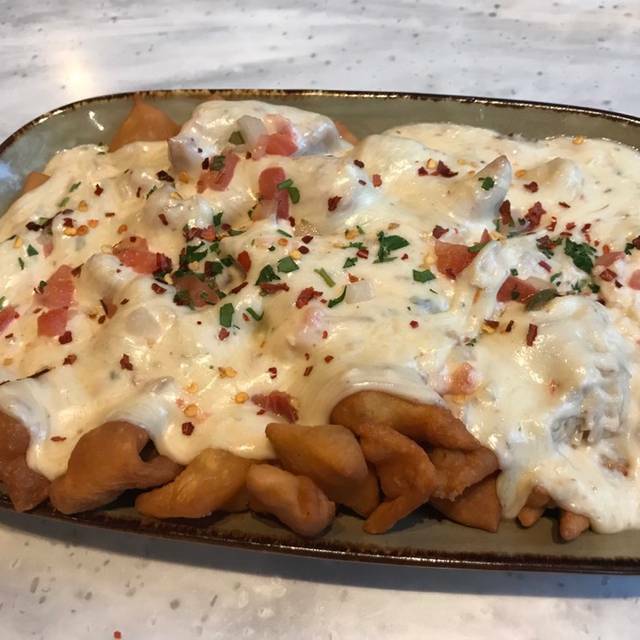 Great Place, Great Flavor & Creative Dishes! A must when in Waikiki! Great food! Great service! We went twice during our week stay. Our server was very attentive and we really enjoyed the food. We had pizza, salad, and wine. All three were great, and it's a cool place. Loved it! Great food and a fun environment! I would highly recommend eating there if you are vacationing in Honolulu. Excellent location in International Market Place. We went for happy hour, which we enhanced with some virgin cocktails & strawberry lemonades. Food was good, but would have liked more variety on happy hour menu. We had a great dinner with a wonderful waitress , we had a party of 5 and they were able to accommodate us with out a problem. They also take reservations which helps too. Everything was good until the food came to the table. I had gotten the wrong order ... the waitress appologized for her mistake and in about 5-6 minutes she braught me the right pizza. It would’ve been great had this pizza been properly cooked. I get that they wanted to avoid making me wait to receive longer, but i don’t think serving me a raw pizza “makes up” for anything. It’s a shame ... definetly the most expensive raw pizza i ever bought ... wouldn’t recommend.